Quality tenants are priceless. Don’t be a Grinch! Show your tenants some appreciation this Holiday season. If you already have excellent tenants, it’s important to do something nice for them at least once during their tenancies. A great opportunity to do so is during the holidays. As my grandma use to say, “a little token of appreciation really goes a long way“. Gee, thanks grandma. Seriously, Why Spend the Money? Showing your appreciation encourages mediocre tenants to be better, and excellent tenants to keep it up. I’ve found that when I have shown some (even just a little) appreciation to my tenants, they have responded by renewing their lease, paying rent on time, keeping the house clean, and have even sent me gifts in return. Admittedly, it’s slightly self-serving. The reality is that my life is more enjoyable and my business runs on autopilot, if my tenants are happy. Showing your appreciation encourages mediocre tenants to be better, and excellent tenants to keep it up. My friends at Nolo say that gifts to tenants are an allowable business expense on your federal income taxes, but they are subject to draconian limits. Here are some of my favorite holiday gifts that seem to keep my tenants happy and help nurture mutual respect between us. 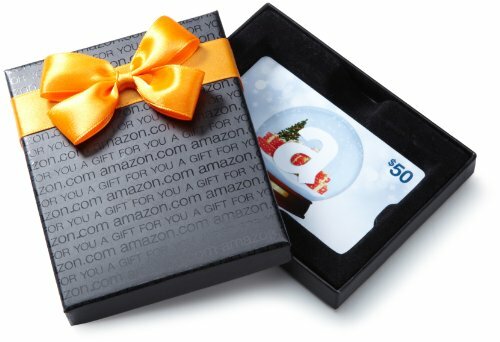 “Take $100 off next month’s rent payment” Tenants love this, more than any other type of gift. Nothing says appreciation like money! If you are rolling in the dough, then you can afford to send a little money back their way. This is really popular with any tenant who has an iPod or an iPhone (40-50% of the US population). This is a great option for any rental property that is a group house – meaning your tenants are roommates and not a family. I have a few group houses, and sending them a set of five $10 iTunes gift cards are an easy and affordable option. Baskets of cookies, hot cocoa, or even fruit are great ideas. Stay away from fruitcake – no one really likes it anyway. If you don’t want to make the basket yourself, you can order most of these online and have them shipped directly to the house. Just make sure that your tenants are going to be home before sending anything perishable. After graduating college, I lived in a house with 4 other guys. 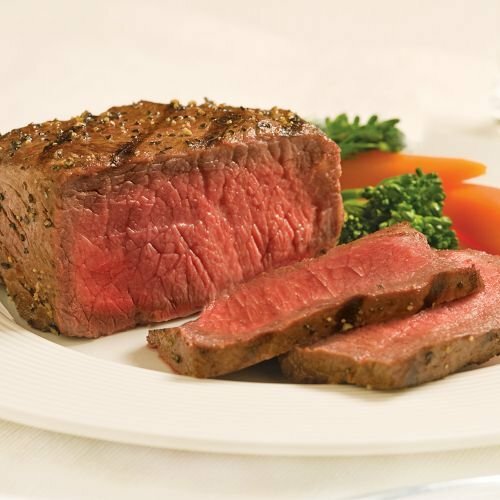 One Christmas, my landlord sent us a bunch of Omaha Steaks. As you can imagine, we couldn’t have been more excited as we were firing up the grill in the middle of winter. We were all young professionals, making pathetic salaries, and eating ramen noodles 2-3 times a week. A box of tender porterhouse steaks really meant a lot! It’s expensive, but eventually you will have to buy new appliances. If a tenant thinks of your property as their home, they will be excited to receive a new appliance. Besides, if your old appliance is on its death-bed, then they will really appreciate it. If you upgrade to a higher finish, like stainless steel, your tenant will love you even more. Before you respond… “I don’t want to buy anything expensive because they will just trash it“. I think that is rubbish. Tenants are still responsible for any damages regardless of the quality of the appliance. You have their security deposit, don’t you? Hire a professional maid service to clean the property. The holidays are the perfect time for this gift because 1) your tenants are either hosting festivities, or 2) they will be gone on vacation – which means the maids will be able to get in and out without disrupting your tenant. Just be sure to have someone present during the cleaning to ensure proper access and security safeguards. Your tenants will really appreciate it, I promise! Walmart, Amazon, Target, Home Depot, Grocery Store – anything they can really use. Don’t buy them a card to Texas Roadhouse if there isn’t one for 50 miles. Make it convenient for them. Use this opportunity to fulfill a real need that your tenants have. If they just had a baby, go take them a few dinners. If they have little kids, offer to babysit. If they recently lost their job, help them find another one (also self-serving) by buying them a new outfit for interviews. Hey Hey Hey, Date Night! Nothing says “my landlord is awesome!” like free tickets to The Avengers 2. Everyone loves a great BBQ deck party. The patio set will be an asset to the rental house that you are allowing your tenants to use during their occupancy. Make sure they understand that the furniture stays with the house. If worded nicely, they will appreciate the gesture, and will having dinner parties outside during the warmer months. Simple, sweet, timeless. Just don’t by them red roses or you might send the wrong message. I’ve found that my tenants seem to genuinely like it when I give them a simple tool kit. A plain hammer and screwdriver set is enough. Ikea sells these kits for $7.99 I think it helps to give them a sense of empowerment. It also is a nice way to show them that you want them to hang pictures and be proactive about maintenance. I will admit, this is often better served as a “Welcome Gift” so I sometimes include this kit along with bathroom essentials on move-in day. Obviously, they will still call you, but perhaps they might try to fix a loose doorknob themselves now that they own a screwdriver. Wouldn’t that be grand! This is probably the most common gift given by apartment buildings. It can be an effective tool to help your tenants get to know one another. The key is that the party has to be convenient for your tenants to attend. If you have a large apartment building, the best time to throw a party is at 5-7pm, in the lobby, on a weeknight. You’ll catch-all the folks coming home from work, and it’s still early enough that young kids will be able to attend. However, a party doesn’t work so well if you have a portfolio of single family homes in different neighborhoods. Despite your best efforts, your tenants are not going to drive to your office for some free hot apple cider and finger food. Sometimes, the best way to your tenant’s heart is through the stomach. One of my favorite gift items is the Cinnamon Creme Cake from Corner Bakery. It’s so delicious that I once received a $100 gift card to Target after I gave my tenants this cake. They apparently ate the whole thing in a day. Wow. Depending on the tenant, a sense of humor will give you more respect than a traditional gift. My all-time favorite gag-gift for tenants is this t-shirt that says “I Love My Landlord”, although I haven’t built up the courage to give it to anyone yet. Fun post Lucas! I like the rent deduction idea, but $70 is pretty generous. I agree, it’s the hardest gift to give but it’s also the one that the tenants appreciate the most! For group houses, I usually stick to iTunes gift cards. For single-family tenants I like to give the cinnamon cream cake from the corner bakery. I give my tenants a gift card. Its great to see someone else that does this. Thank you for writing this article and giving out different ideas. In my experience, the cinnamon coffee creme cake works really well too. If you try anything else other than gift cards, let me know how it goes. I’ve got tenants in my rental a single mother, I’m trying to think of a gift to give them as thank you encouragement to stay as long as possible. How old is your tenant’s child? Could you buy her a gift card for a mommy-daughter shopping day at the mall? We tried giving Turkey’s on Thanksgiving and Ham on Christmas although we got thank you’s never seemed to hit the mark. So We plan on giving a deduction on Decembers rent this year was a wonderful idea. We always leave a small case of water and a Welcome Home note in fridge as well as this last time a basket with a 4 pack of wash clothes some ink pens batteries and a small flashlight. Also a fly swatter and $15 gift card to subway. Hopefully these new renters are great! That’s really great. It sounds like you really go above and beyond to make them feel at home. I hadn’t thought of the single use wash soap, nice one! I have a great one that I use all the time. A couple years ago I purchased an established independent pizzeria about 4 blocks from my 21-unit. Once a year I send my tenants a 15 dollar “gift card” for pizza. Most of them spend 20-30 when ordering. I win both ways. Great post! What about tips for my awesome property manager? I’ve given her gift cards before, but I forgot to send her anything last year. I’d like to ask her to take a bonus out of the rent but that seems tacky. Should I just send her a check? I think any thoughtful gift will due. Sending her a check would be better than telling her to “take it out of the rent”, because you it removes you from the gift giving aspect of it. I have given tenants a $20 Starbucks gift card for the holidays the last few years. It gives me a chance to connect on a non-business type issue and to let them know that I appreciate them. Being from Seattle, coffee cards are a no-brainer. I like the other ideas suggested here too- thanks!